With Readly you can read World Of Animals Book of the Animal Kingdom and thousands of other magazines on your tablet and smartphone. Get access to all with just one subscription. New releases and back issues – all included. From the mysterious depths of the ocean to the soaring heights of the sky, the wonders of the animal kingdom are endless. The World of Animal Book of the Animal Kingdom is packed with in-depth profiles of some of the world's most amazing animals, from ferocious felines to incredible insects. Learn about the make-up of the animal kingdom and understand the incredible adaptability of land, air and sea-dwelling creatures through beautiful illustrations and wildlife photography. 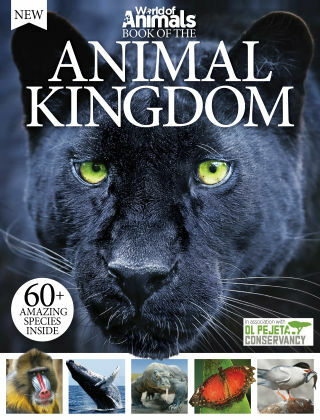 Including animals from all walks of life, this latest edition of Book of the Animal Kingdom is perfect for all animal lovers.